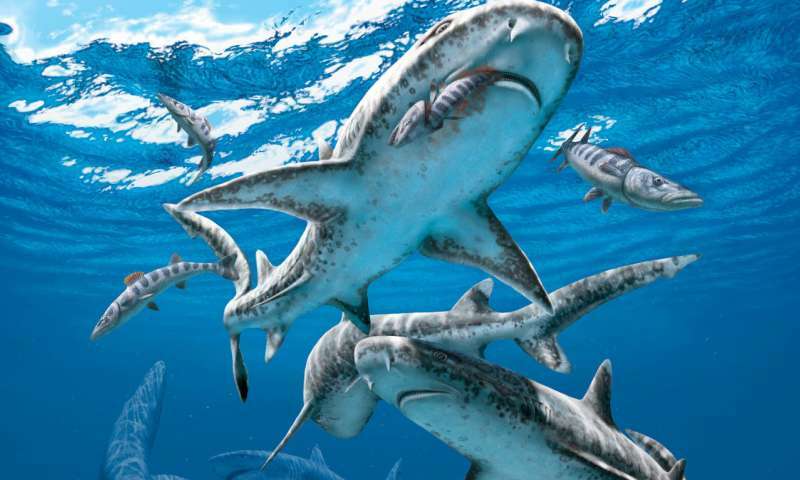 "Our study found that the shift from lamniform- to carcharhiniform-dominated assemblages may well have been the result of the end-Cretaceous mass extinction," said project leader and Uppsala doctoral student Mohamad Bazzi. 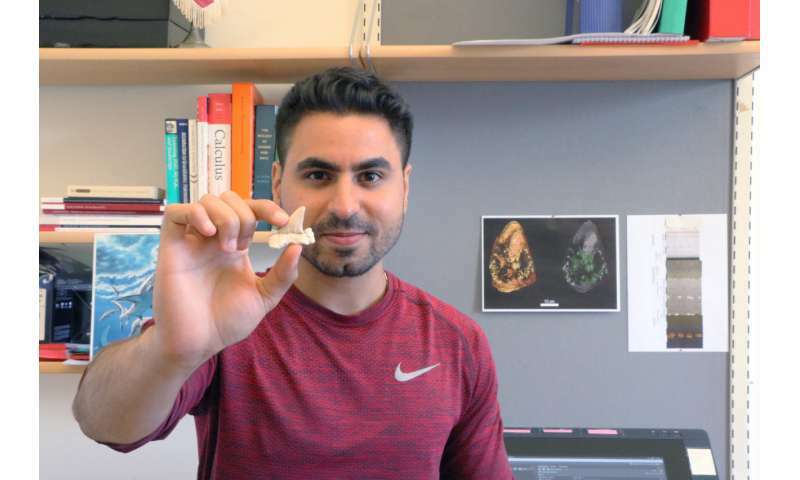 "Unlike other vertebrates, the cartilaginous skeletons of sharks do not easily fossilize and so our knowledge of these fishes is largely limited to the thousands of isolated teeth they shed throughout their lives," says Mr. Bazzi. "Fortunately, shark teeth can tell us a lot about their biology, including information about diet, which can shed light on the mechanisms behind their extinction and survival." The team used "cutting-edge" analytical techniques to explore the variation of tooth shape in carcharhiniforms and lamniforms and measured diversity by calculating the range of morphological variation, also called disparity. "Going into this study, we knew that sharks underwent important losses in species richness across the extinction." said Dr. Nicolás Campione at the University of New England, who co-devised the project. "But to our surprise, we found virtually no change in disparity across this major transition. This suggests to us that species richness and disparity may have been decoupled across this interval." "Carcharhiniforms are the most common shark group today and it would seem that the initial steps towards this dominance started approximately 66 million years ago," said Mr. Bazzi, who remarks that further research is still needed to understand the diversity patterns of other shark groups, along with the relationship between diet and tooth morphology. "By studying their teeth, we are able to get a glimpse at the lives of extinct sharks," said Dr. Campione, "and by understanding the mechanisms that have shaped their evolution in the past, perhaps we can provide some insights into how to mitigate further losses in current ecosystems."